Felipe Cobos-Luna (A#078-265-122) is detained at the Eloy Detention Center in Arizona. Felipe is the loving father of three U.S. citizen children and one DACA- eligible youth. Before he was detained Felipe was a leader in his community and worked doing landscape to provide for his family. Felipe has lived in Tucson for 17 years, he was involved at St. Joseph’s Catholic Church and volunteered at the local Headstart school program. 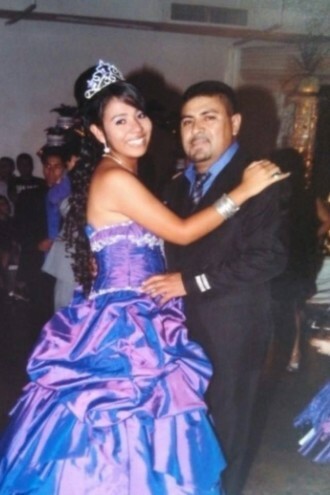 On February 2014 Felipe and his family reported a crime to local law enforcement but they never imagined this interaction would trigger Felipe’s arrest. Eventually he was transferred to ICE and is now detained at the Eloy Detention Center away him from his family and community. Without Felipe at home his family is struggling economically and emotionally. In his absence Felipe’s wife and four children have faced severe challenges and need Felipe’s strong economic and emotional support. Can you take a minute to send a message in support of Felipe? Every signature and call to ICE makes a difference. ICE wants to deport Felipe based on an old conviction but is ignoring Felipe’s contributions to the Tucson community. Moreover, Felipe faces harsh and abusive conditions in detention. Felipe’s health is deteriorating and he needs to undergo surgery urgently, but in detention he is given inadequate medical attention. We ask that Felipe be released from Eloy Detention Center to receive proper medical care to treat his condition and be able to fight his immigration case from home with his family. I am writing in support of Mr. Felipe Cobos-Luna (A#078-265-122), who is being detained at the Eloy Detention Center since last year. Mr. Cobos-Luna is the loving father of three US citizen children and one DACA-eligible youth. He has lived in Tucson, Arizona since 1998, was involved at St. Joseph Catholic Church and volunteered his time at a local Headstart school program. Mr. Cobos-Luna’s health is at risk in detention, please consider using prosecutorial discretion to release him from detention. Mr. Cobos-Luna was transferred to ICE after his family went to report a crime to local law enforcement on February 2014. I am aware of Mr. Cobos-Luna was convicted in the past, however his involvement in the community and the steps he has taken to improve his life and that of his family’s outweight any negative factors in his case. Mr. Cobos-Luna’s four children have had severe economic and emotional challenges without their father by their side. In addition, Mr. Cobos-Luna faces harsh and abusive conditions in detention, his health is deteriorating and needs to undergo surgery urgently. We ask that Felipe be released from Eloy Detention Center to receive proper medical care to treat his condition and be able to fight his immigration case from home with his family. Raped in Detention, Call ICE and Ask for Douglas’ Release!